MK Glick describes need to apply sovereignty to Judea-Samaria as response to terror attacks. 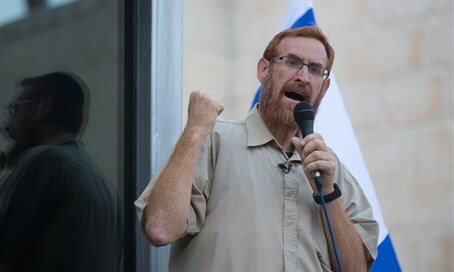 MK Yehuda Glick (Likud) gave a speech at the Knesset assembly on Wednesday, in support of an emergency bill to deal with the increasing number of terror attacks. "Last week I attended two funerals. The first was for Hallel Ariel, the daughter of my very good friends, after a terrorist broke into her bedroom while she was home alone and stabbed her about 10 times in the chest alone. He did so to show his monstrosity and to murder a helpless 13-year-old child in cold blood," he began. "The next day my good friend of over 20 years, Mickey Mark, was murdered. The community of Otniel, in which I live, has suffered many losses - seven members have been killed, along with another four yeshiva students. We are very hurt, but we are not pitiful. We have suffered a very hard blow, and it hurts. There are now ten orphans from a wonderful family." Glick added that "The community of Otniel is in pain and broken, but we are not pitiful. Otniel and the the other communities in Judea and Samaria are strong, and they will continue standing against this brutal and murderous wave of terror. But this terror is motivated by the hope that it can drive us out of the Temple Mount and the entire Land of Israel, so they can create a Palestinian state on the ruins of our communities. It is our duty to apply sovereignty over all of Judea and Samaria, and to continue building, living and flowering. To continue traveling on the roads, to move into the waiting homes in Hevron, to build more neighborhoods -- all these will give the message that we are here to stay. "We must fight terror without compromise, and this includes the dispatchers and the inciters. Of course, we must act immediately -- don't wait. Destroy the homes -- don't wait. But at the same time we must support those who want to live with us in peace under Israeli sovereignty," he concluded.